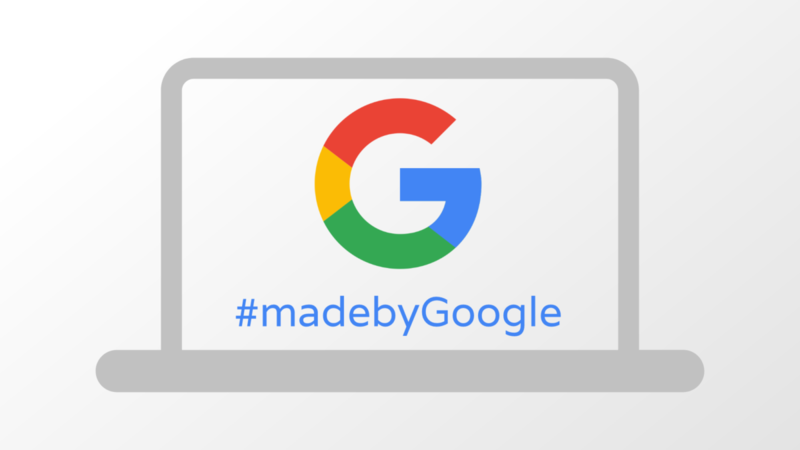 It has only been days since we uncovered clear evidence that the upcoming Chromebook ‘Atlas’ looks to be #madebyGoogle and will likely be making an appearance at the yet-to-be-official October 4th hardware event. In that article, we talked briefly about another device – ‘Nocturne’ – that has been increasingly mentioned in commits next to ‘Atlas’ and how that device may also be #madebyGoogle. It was just a gut feeling at that point, though. Turns out those gut feelings can be pretty useful. I couldn’t quite shake the feeling that ‘Nocturne’ was somehow mixed up with ‘Atlas’ in Google’s future plans for the Pixelbook family, so I’ve been searching the repositories pretty regularly for solid evidence that ‘Nocturne’ belongs right there with ‘Atlas’ and ‘Eve’ (the original Pixelbook). Today, I think I’ve found it. enabling vmx is already there, turn on the user space bits. First, there are many devices that share boards. This is not new. However, it is pretty rare that devices get features enabled together in the same commit. Second, right at the top of that commit language, you see the word ‘Krabbylake’. It was detailed back in July in the repositories that ‘Atlas’ and ‘Nocturne’ would be based on a similar board codenamed ‘Krabbylake’. Why? We have no idea. Perhaps Google is digging in and doing some particularly special things with this board to leverage the (assumed) 8th-gen Kabylake processors similar to how they work closely with Qualcomm on the Pixel phones to get better performance on tasks like taking photos. That’s all a guess, but there has to be a reason they are making a special board variant for these two devices. That’s not the smoking gun, though. Sure, sharing a baseboard with a clearly-Google device is pretty telling, but I found something even more conclusive. In this commit, you see reference to ‘Whiskers’, the keyboard attachment for ‘Nocturne’. We’ve known these two belonged together before now, and the basic notes of this commit do little to give us any further info about ‘Nocturne’s origins. It does tell us that ‘Whiskers’ is a registered as a USB device, so that is interesting. Perhaps the USB is how the keyboard/trackpad will connect? Perhaps this is referencing USB ports on the keyboard portion itself? Hard to tell at this point, but it is interesting nonetheless. The real clues unfold when you look into the files contained in the commit. If you have a look at this file it becomes very clear that ‘Nocturne’ isn’t just another detachable device. Well, well, well…that sounds quite familiar, doesn’t it? I know not everyone owns a Pixelbook, but the combo of the Assistant key and Control Panel key on a keyboard are unique to one device and one device alone: The Pixelbook. Are You Ready for Two New Additions To The Family? It would seem quite clear, then, that ‘Nocturne’ and its keyboard ‘Whiskers’ are very much a part of the Pixelbook lineage. With our very clear signs that ‘Atlas’ is also a Pixelbook offspring, I think we can start confidently expecting two new Pixelbook-branded devices at the October 4th #madebyGoogle event. Perhaps a Pixelbook update in ‘Atlas’ and a detachable/tablet offering in ‘Nocturne’? Honestly, that part we’re still trying to sort out. In the ‘Atlas’ article I’ve linked twice already in this article, there was mention of an “extra” Assistant key that I really am not sure what to do with. If the tweets from Evan Blass are to be believed (he’s pretty accurate, after all) it seems there most definitely will be a standard Pixelbook update, and ‘Nocturne’ most definitely isn’t that with it’s detachable nature. For now, I’m standing pretty firm that ‘Atlas’ will be the 2018 Pixelbook and ‘Nocturne’ will be some sort of tablet/detachable Pixelbook to add to the lineup. We’re merely 8 weeks away from knowing for sure, and I cannot wait to be there to see it on stage.